Is your little one obsessed with Sesame Street? Does he love Elmo (almost as much as he loves you)? Does he Marvel at Elmo every time he sees him? Does your little one ever refer to himself in third person? Well then, your child may just be ready to dress up like his favorite puppet! Now, your child can dress up like his favorite fuzzy red character! 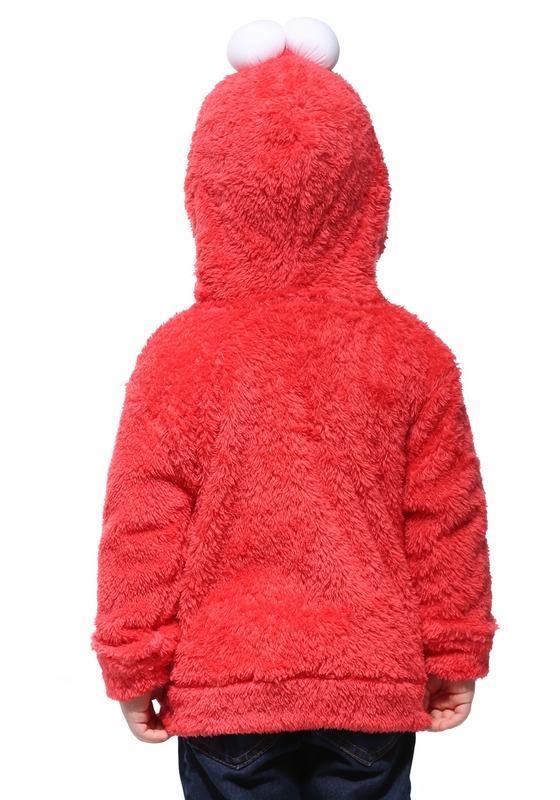 This Elmo Sesame Street faux fur costume hoodie has a great style that any little fan will love to wear. It has a classic zip-up style and is covered in bright red faux fur, making it easy to put on and ultra-cozy to wear during chilly weather. The hood is designed to look like Elmo’s face and it has a pair of bulbous eyes attached to the top. Once your child is done cosplaying as the red monster, he can wear it any day as part of his normal wardrobe.